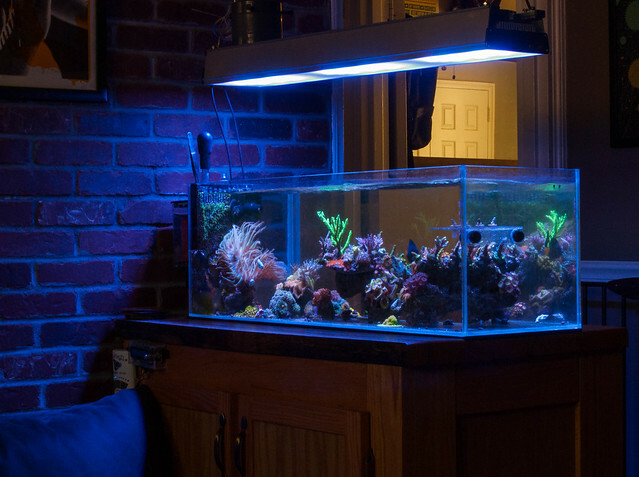 Well, I got my Reef Cleaners order. I don't think I could have made a wiser decision nipping some of the problems in the bud right away. It took the weekend, but the peppermint shrimp have demolished every single invasive aiptasia that some how recently hitchhiked into my reef. 3 emeralds went into the 22, and 1 into the frag tank, and they are cleaning out the crevices of bubble algae that was starting to crop up as well. For anybody that looked over the order, you might have noticed I have the lettuce nudi's on there. There has been some algae in the frag tank that I'm not 100% sure what it is, and they seem to be taking care of it. I might have to pay them forward when they are done. I have also had to turn off the MP10 in there to make sure they are comfy, nothing seems to mind with just the return pump lightly moving the water. OH, and in biggest news, I removed the floor patch of GSP! It was approaching the rock way too fast too often, so that's one less thing. Thanks, Milton. It's documented back towards the beginning, but the long and short of it is, I didn't want equipment on any end of the tank but the back wall. 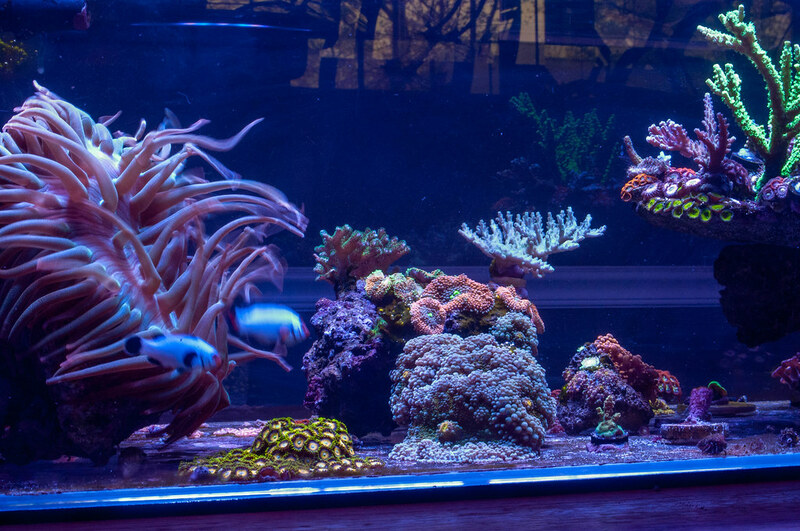 This was on account of it being a peninsula tank. When I had sand, it was pushing the sand from the middle off the front glass, and bunching it up in the middle. 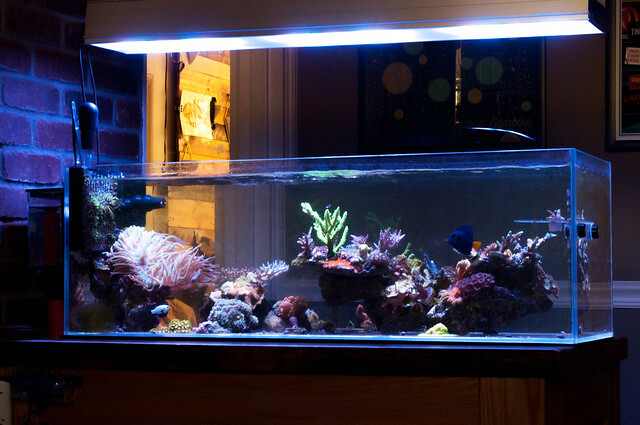 The result was a sand dune that came all the way to the top of the ledge in the middle of the tank, as well as no sand in the front portion of the tank, and then a flat almost no flow sand in the back of the tank. Now I can blast flow from the back and I don't have to worry about what happens to anything getting covered! Its a fine looking tank. I guess if I had really bothered, I could have moved the frag rack out. 3, and the clowns don't leave their anemone. Nice. One of my favorites. I have been doing a TON of traveling over the past 2 weeks, so the tank has not seen a lot of love. Luckily, now that I'm back, everything looks better off without me. My dKH consumption continue to rise, have jumped from 5ml to almost 20ml over the past month. Additionally, it took a while, but the extra addition of the MP10 on the front side of the peninsula has remedied my polyp extension woes. 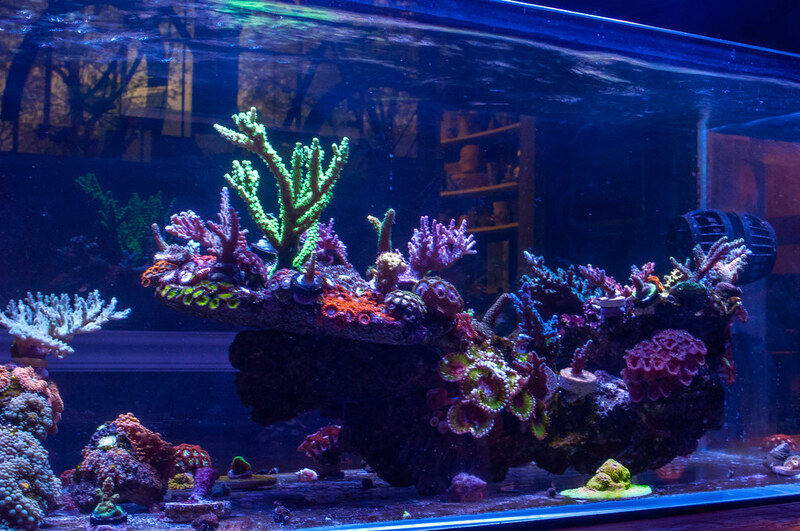 Just about every single SPS now has very happy extending polyps during the day and night. The pictures don't really capture the awesomeness of the tank, I am going to see if I can buy a nice macro lens and get some closer photos, until then, you'll just have to make do with FTS's. The tank looks clean and empty. Thank ya, sir. It certainly has grown, a little slower than I like, but probably for the best. Especially since I don’t have enough room for et in there right now!!!! Thanks! 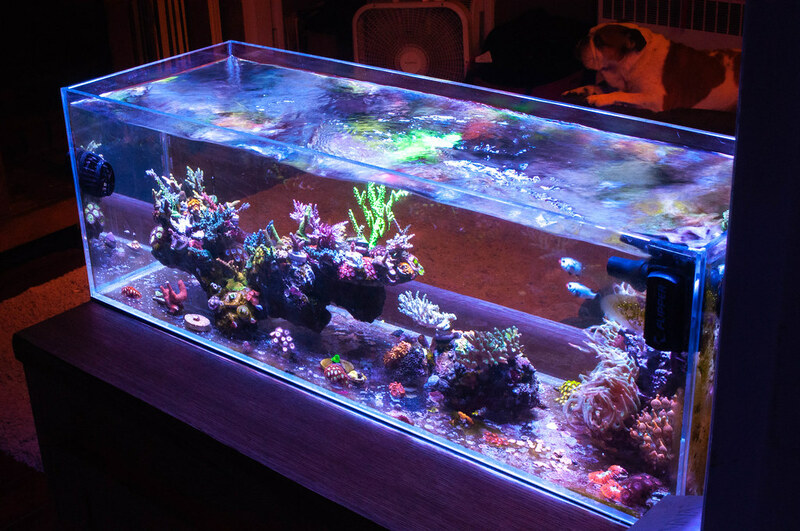 There is about equal ratio of corals, for now. 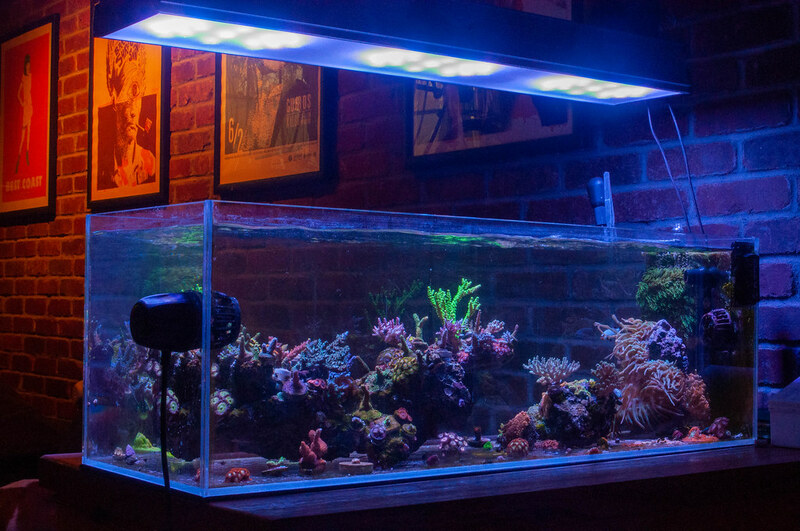 I’m predicting less zoas and more acros!! haha Looks great. Love watching as tanks change over time giving inspiration and ideas. 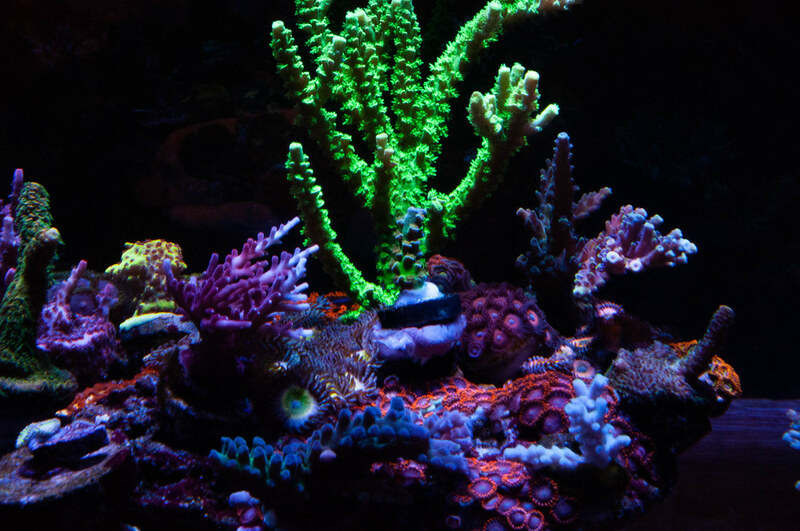 I've actually started growing out the zoanthids in the frag tank, which is also pretty much full. The zoas in some areas are starting to cover up the base of the SPS as it encrusts. I'm finding the zoanthids to be harder to control than the acro's. I've started putting zoas on the floor, and most of them are taking off already, and competing with the coraline now. I'm at the stage now that if I want to add more acros, I'll have to swap something out for space. Is that a GIANT anem or the pics make it look that big? Thanks! It is indeed just a giant nem. The clowns love it, and it provides some nice movement against the sticks. 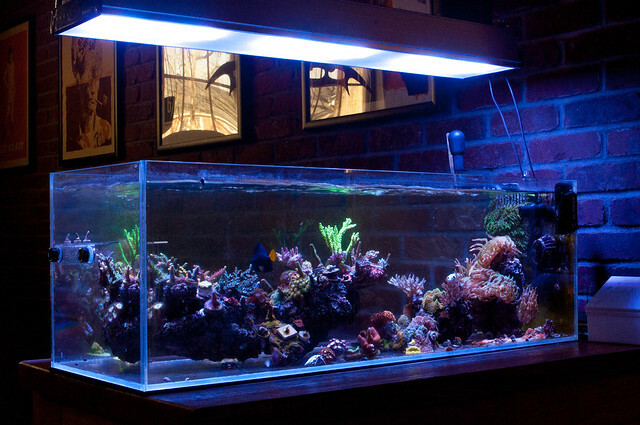 Pretty bold having a great big nem that could decide at any point to go on a walkabout in a 20g tank full of SPS. Well, when you say it out loud like that! I'm not going to knock on wood. But that foot has been pretty rooted into the rock structure. 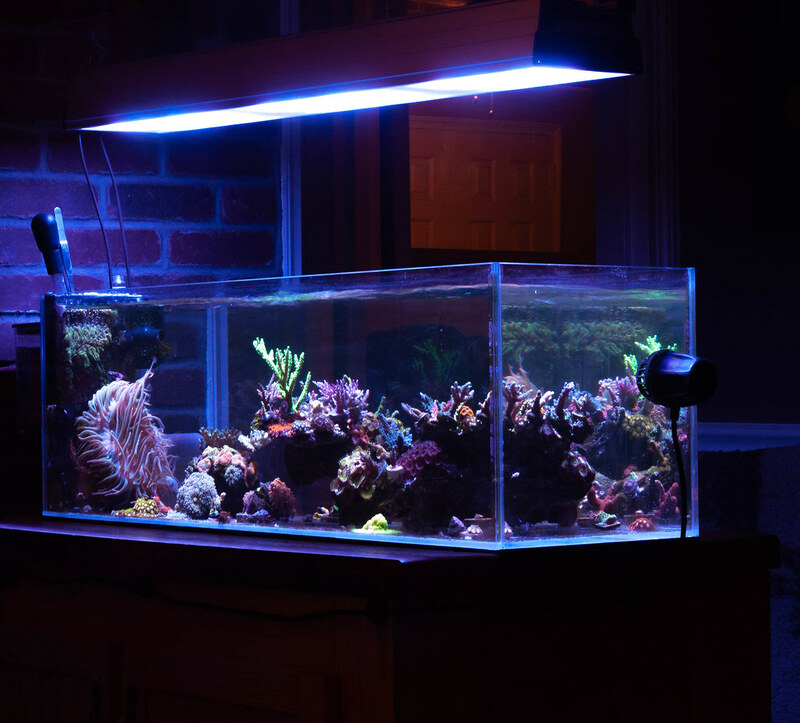 I originally got rid of about 8 anemones that were all in the back end there. Then I found the perfect rock to replace the old one. Then that Goliath anemone made it it's home, and hopefully there it will stay!